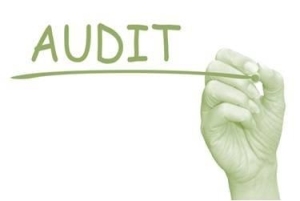 Conducting a HR audit can reveal those issues where best practice has lapsed a little. This is where The HR Auditor Training Course provides essential skills, process support, and resources for HR Auditors. When you have successfully completed The HR Auditor Training Course. The various departments in your organisation have their own unique territories. Like gardens, weeds spring up in these territories. Fortunately many weeds are pretty easy to deal with; catching them young before they reproduce and take over is most effective. However, there are weeds that present far bigger challenges. These perennial weeds live from year to year, and hoeing them just cuts the top off so they pop back up their deep roots spreading across territorial boundaries until all departments are plagued by weeds and blocking out the light restricting the growth of new and more favourable plants…. What external, environmental factors affect the businesses’ ability to compete? (Environment)? Whose job is it to identify training and development needs? Activity: What Influences our Approach to Identifying Training Needs? Exploring HR Benchmarks establishing as best practice. What are the implications for the organisation? Employee surveys are used to measure morale and the effectiveness of various HR initiatives.